Couric was expected to give the news to the show’s staff after today’s taping, the last before the scheduled holiday break. Due to high costs and soft ratings, the show’s termination was not unexpected. Disney-ABC is working on finding a replacement series for the ABC stations. What do you think? Will you be sorry to see Katie go? 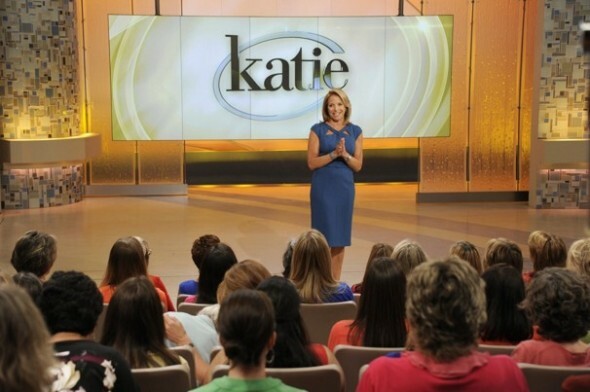 More about: Katie, Katie: canceled or renewed? And decent viewing for all in the home!!!!!! no, because she took the spot of my favorite daytime show. I also want to sxee the chew canceled and all my children and one life to live brought back to where they belong. What does to “sxee the chew” mean? I think she should take a couple of decades off, and then give it another shot. This show was terrible. Being back our beloved soaps. We are loyal and profitable fans. Make right on your mistake. People respect you when you own it.